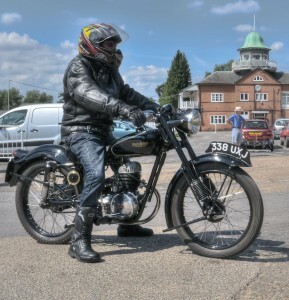 Gordon Francis, son of Graham Francis of Lea Francis fame, combined his talents with Arthur Barnett in 1919 to create a new lightweight motorcycle for which they felt there would be a great demand. In the post-war era economical transport was at a premium and the new motorcycle was developed not only with the motorcycle enthusiasts in mind, but also for citizens who needed reasonably priced personal transport. This is not to say that the early motorcycles were cheap to purchase, but neither was any form of transport immediately after the war. Gordon Francis and Arthur Barnett were, in fact, related by marriage. 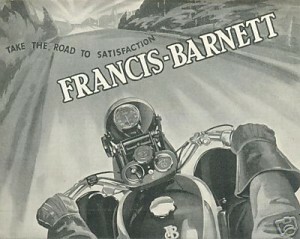 They started their business in Coventry in the Midlands and by coincidence the first Francis-Barnett motorcycle was constructed in the same workshop as the first english motorcycle, the Bayliss-Thomas Excelsior. 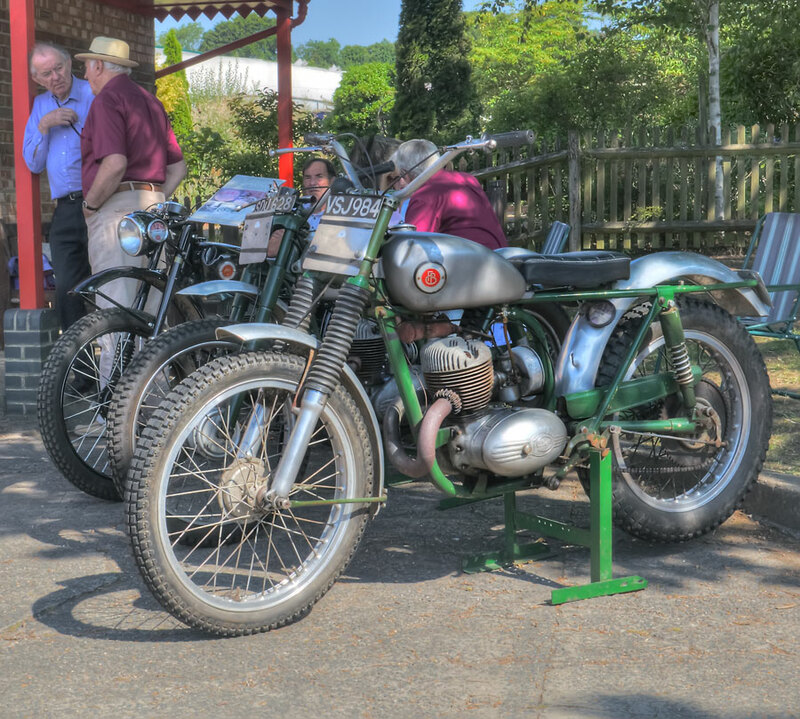 The first Barnett was a 292cc side valve J.A.P. 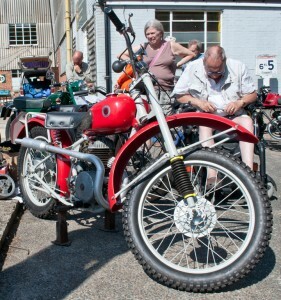 engined machine with a two speed Sturmey Archer gearbox. Its red and black petrol tank was a very pleasing sight to a prospective purchaser. The only hesitation they might have had was the price of £84.The price continued to be a problem with the costs of production. 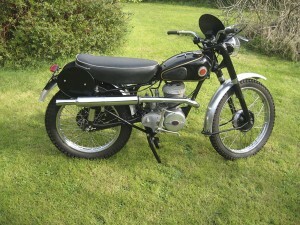 Gordon Francis came up with a revolutionary plan giving the buyer a cheaper but better machine. In the army he had observed with alarm the frequency of motorcycle frame fractures. He was able to try out his ideas for overcoming this problem when back in the Francis-Barnett workshop. In 1923 he evolved a system of six pairs of straight tubes and one pair specially formed which made up the framework of the motorcycle. In appearance the frame below the tank formed an inverted triangle; the triangular shaped tank was held by a similarly formed set of tubes.The framework from saddle to rear wheel hub and down to the footrest formed yet another triangle. The wheels of the new Francis-Barnett were on spindles, these could be easily removed. The machine was driven by a 147ccVilliers two-stroke engine with flywheel magneto, Albion two-speed gearbox and belt final drive. Light in weight, easy to strip and reassemble, it was also light on the pocket and cost only £25. The reason for the low price was that lower cost were incurred in the manufacture of the parts required. Everybody was satisfied with the new little Francis-Barnett which was claimed to be “built like a bridge” because of its constructional principles. The frame was in fact guaranteed against breakage forever. 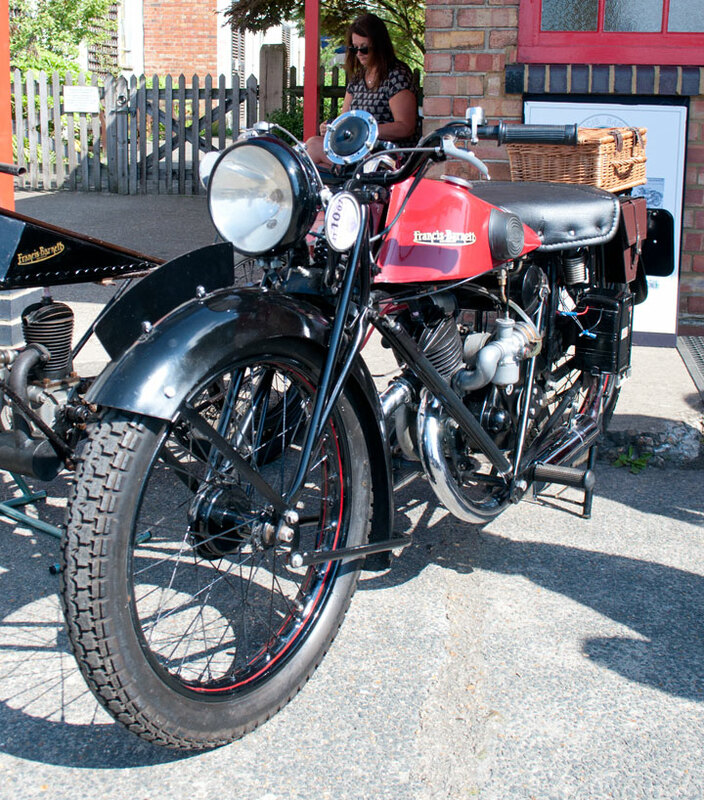 It was not the only motorcycle coming out of the factory in 1923 as there were also 250cc and 350cc machines with sidecars available. 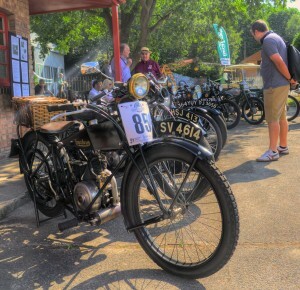 The next impact on the motorcycling scene made by Francis-Barnett was the Pullman, a 344cc vertical in-line machine with a two-stroke Villiers engine. This became available to the public in 1928 and in next two years Francis-Barnett followed the fashion which called for cream coloured machines. The 250cc Cruiser, brought out in 1933, typified the Francis-Barnett attitude to the traveller who did not want to dress up to keep clean on his or her motorcycle. This model was virtually totally enclosed. 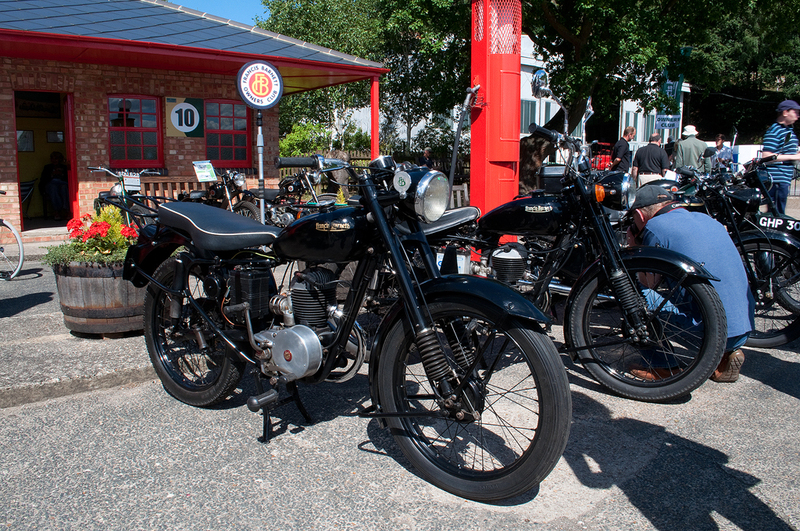 Production continued until the Second World War, as did the manufacture of the Stag model, a 248cc Blackburn engined machine with overhead valves, first introduced in 1935. 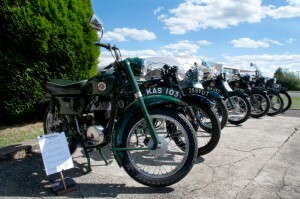 The other events of the pre-war period were the manufacture of a 125cc model called the “Snipe” and an even smaller machine, an autocycle named”Powerbike” with a 98cc engine. Both of these machines made a return immediately after the end of World War 2. 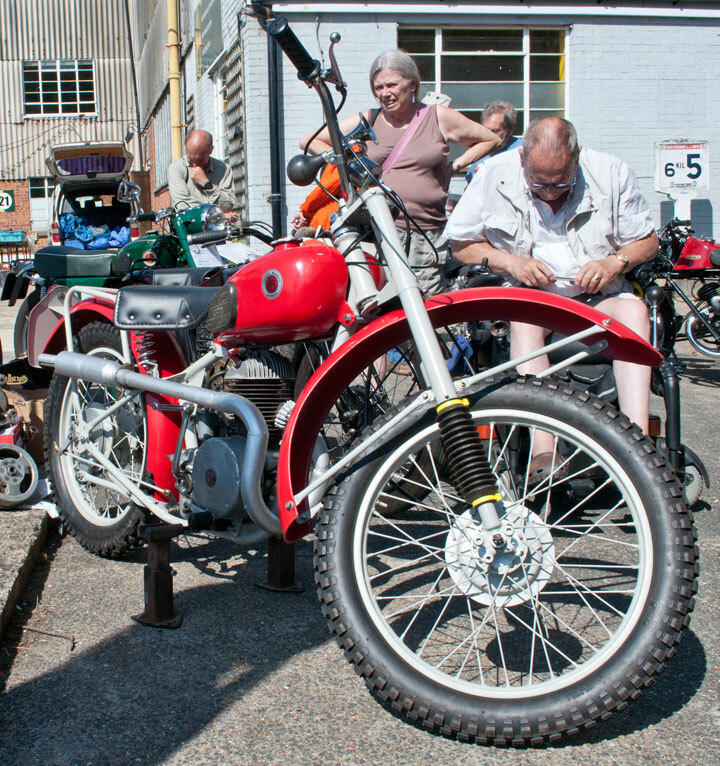 These models and other two-stroke lightweights were to be the order of the day. They continued in production under the name Francis-Barnett even when the Company amalgamated with Associated Motor Cycles Ltd, the London based Matchless concern in 1947.Models like the “Plover”,”Falcon”and “Cruiser” sold well in the fifties and many a worker rode to work on a FB in those far off days,on a machine that was recognised as a quality lightweight. The colour had changed to green (known as “Arden Green”) from the predominantly black finish of the earlier days. 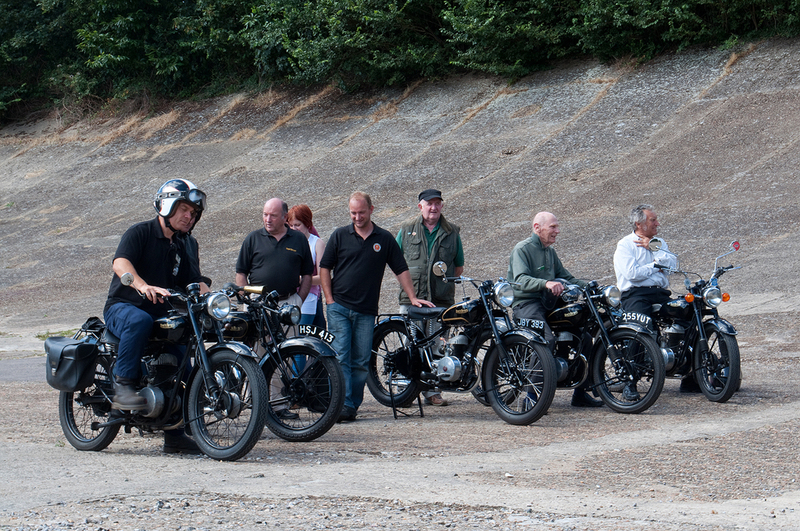 A full range of factory designed accessories was also available to ensure the rider’s comfort and convenience. The off road rider was also well catered for with a range of competition models that acquitted themselves well. For a short period the tried and tested Villiers engine was abandoned in favour of AMC’s own Piatti designed unit; these were not wholly successful and the Company reverted back to Villiers. The market place was changing however and production was transferred to the Birmingham based James Company,(also part of the AMC Group) in the early 1960’s. The factory in Lower Ford Street,Coventry was closed, some workers transferring to James. All individuality disappeared,both James and FB models now being virtually identical apart from the badges and colour. This continued until 1966 when the whole AMC empire ceased to operate. All signs of the factory in Coventry have now disappeared under the ring road but the Owner’s Club thrives with the intention of “keeping alive the living legend”. 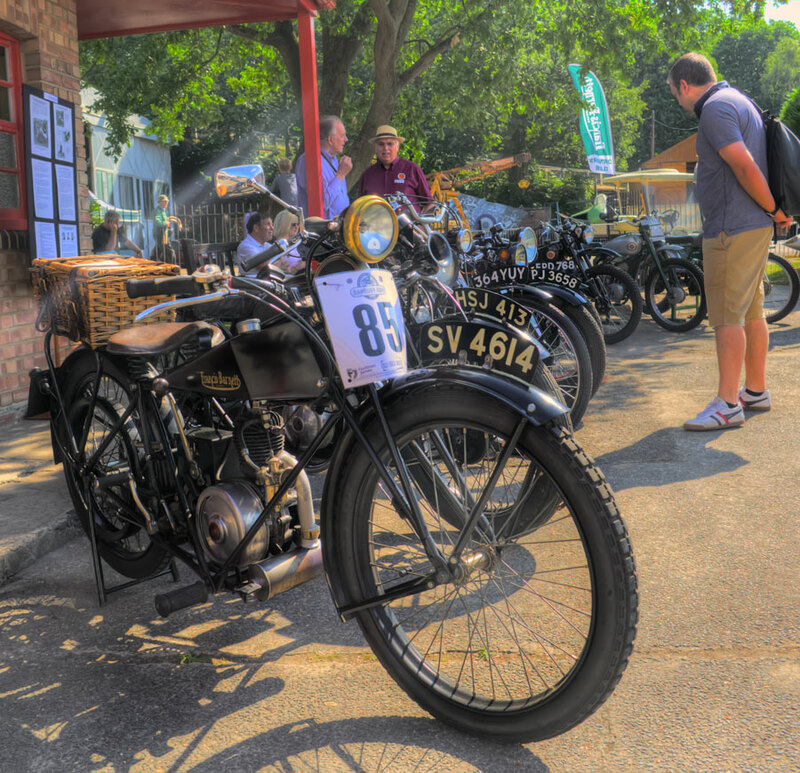 Many cherished examples of models bearing the famous trademark appear at the Club’s Annual Rally which takes place each year in August. John Baker / John Goodberry.